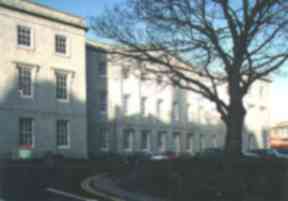 Woolmanhill Hospital, which opened in 1749, will close at the end of 2013. Aberdeen's oldest hospital, which first opened its doors in 1749, is to close at the end of the year. The decision to shut Woolmanhill Hospital, which was the original Aberdeen Royal infirmary, has been implemented to help reduce NHS Grampian's £160m repair bill backlog. Board members will be asked to approve the move at a meeting on Tuesday. But it is understood this is simply a formality and that the health organisation will vacate the city centre site, which is now an outpatient clinic, by the end of the year. Woolmanhill Hospital was threatened with closure from as long ago as 1961, but has finally been dispensed with, as north-east authorities grapple with a spiralling repair bill. An NHS Grampian spokeswoman said: "Woolmanhill Hospital has served us well, but is no longer fit to provide 21st-century healthcare. "Its closure has long been planned and we will be vacating the premises on a phased basis throughout 2013. "We are about to embark on a significant piece of maintenance work at the ARI, using the space that has been vacated by the services which moved to the Emergency Care Centre." "The condition of our estate - which comprises more than 80 operational premises - and the need to modernise key clinical facilities has been recognised by the NHS Grampian Board for some time. "As a result the past three years have seen record levels of investment across Grampian which has provided many new and modern facilities including the Emergency Care Centre, which replaced 40% of the inpatient beds at Aberdeen Royal Infirmary. "We are about to embark on a significant piece of maintenance work at ARI, using the space that has been vacated by the services which moved to the ECC to allow us to upgrade our existing facilities and move in-patient care out of the oldest part of the building completely. "Ongoing work at Dr Gray's hospital, the opening of the Health and Care Village later this year and plans to vacate or sell a number of buildings, including Spynie Hospital in Elgin and the former Upper and Lower Hospitals at Royal Cornhill will further reduce our backlog maintenance costs." However, uncertainty remains over the future of the Woolmanhill facility. It is a category A listed building and is likely to be preserved on that basis.